The rapidly changing healthcare landscape impacts the delivery of care in several ways. A worrying issue for health care providers is how to increase the pool of providers to meet demands – especially in the area of primary care. If you’re practicing as an advanced practice nurse, a Doctor of Nursing Practice degree can do much to enhance your career. But before you take the plunge, it is important to understand the plan of study and your career options after graduation. The growing need for primary care services can be attributed to the aging population and greater access to health care coverage. In light of the shortage of primary care physicians, nurses practitioners have been filling a critical gap in primary care in medically underserved areas. However, the quest to practice independently has been an uphill battle for nurses in North Carolina. 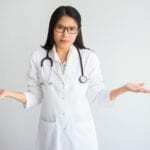 Though studies indicate that nurses practitioners provide quality care that is comparable to or better than the care provided by physicians, there has been resistance to granting full practice authority the NPs in North Carolina. Presently, they must practice through a collaborative agreement with a physician. The DNP offers advanced preparation in nursing practice that will bring nurses closer to the level of education completed by other health care practitioners. The additional training could help make a case for independent practice. Nurses prepared at the level of the MSN will benefit from the higher level of education, and the opportunity increase their expertise in a specialized area of care. After completing the requirements for a DNP, you may continue to work in the same settings that you did with an MSN degree. The advanced training will help you to qualify for top-tier jobs with a wider scope of responsibilities. In this capacity, you’ll shape policies that impact the healthcare system on an organizational level, influence patient care plans, or function as change agents in a clinical setting. As an alternative to working in an organization, you may decide to set up your own practice to work directly with patients or work in an academic environment where you can impact the next generation of nurses. Whatever your career prospects, the terminal degree will be the vehicle that takes your practice to the next level. According to the American Association of Colleges of Nursing (AACN), there’s a growing recognition of the value and contributions of DNP nurses and demand for the DNP will continue to grow in every sector within healthcare. Through online delivery of the coursework, the DNP program supports educational progression without interrupting professional or personal commitments. Online delivery is also beneficial to nurses who are tied to a geographical location. The program will follow the same structure as a traditional program but will give you to flexibility to complete the program at your own pace. The coursework will be rigorous, so you must have a strong work ethic and organizational skills to balance work and study. More nurses are going back to school to meet workforce demands for bettered educated nurses, improve their career prospects, and prepare for an expanded scope of practice. The Institute of Medicine’s recommendation to increase the BSN workforce to 80 percent by 2020 is well on its way to fulfillment. One of the benefits of the increase in the BSN workforce is the wider pool of nurses prepared to take the next step to the MSN and DNP degrees. But while many nurses see the benefits of pursuing the MSN to prepare for specialized care at an advanced level, the benefits of the DNP are not always obvious. If you’re undecided, here are some valid reasons to enroll in the DNP program. Before delving into the benefits, it’s important to address one of the biggest deterrents for most nurses – the cost of the program. The thought of another student loan may cause you to shudder. After factoring in scholarships and grants, the cost of the DNP can still be overwhelming. But since the degree will pay for itself, it’s worthwhile to dig deep for any available resources that will help to cut the cost. The need for primary care professionals and doctorally prepared nurses increase the availability of funding for nurses willing to take this path. At the conclusion of the program, your job prospects and compensation should be greater than before, which will help you recover the cost of the investment. DNP graduates head organizations, conduct research, take up consulting positions and operate independent practices where they can earn more than $135,000 annually. Estimate the cost of your study, then consider possible career and salary options once you’re complete to determine if the degree would be worth your while. Healthcare policy, lifestyle changes, and chronic illnesses pushed health care costs to 3.3 trillion in 2016. With each passing year, the costs have gone up, which increase demand for health care professionals to deliver affordable primary care to the population at large but especially to those with limited access to care. DNP prepared nurses have the clinical skills needed to deliver preventative care services, counseling services, and primary care at rates that are much lower than the rates offered by primary care physicians. Studies attest that the quality of care NPs provides is at least equivalent that provided by physicians but in many cases may even exceed that of physicians. They prescribe medications, adhere to clinical guidelines, and offer preventative and chronic care to residents in rural areas, making them a vital part of the primary care workforce. 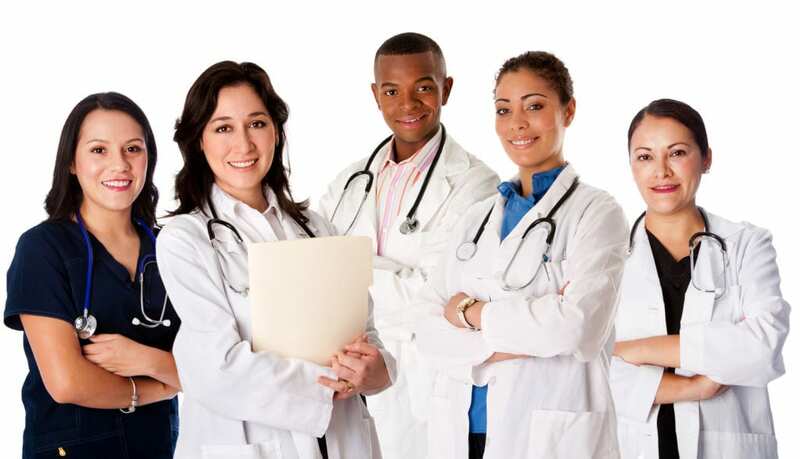 Through nationwide funds geared to increase the numbers of primary care providers in medically underserved areas, the number of graduate and post-graduate nurses, and the number of nurse-managed clinics, nurse practitioners are empowered to high-quality and cost-effective care. In North Carolina, nurse practitioners must operate under a physician’s supervision. Nevertheless, the DNP will provide them with a broad conception of holistic care and their role translating evidence into a usable application in clinical care. Through collaborative efforts with other health care professionals, NPs work to prevent, treat, and manage both acute and chronic illnesses. DNPs use their clinical expertise, education, and knowledge of health care policy to advocate the removal of the barriers that limit nurses from practicing to the full extent of their education and training. While physicians may argue that expanding the role of APRNs could compromise patient outcomes, nurses can enroll in the DNP program develop the expertise to champion reforms based on their positive outcomes and competence in translating evidence. Building on the previous point, the DNP curriculum supports a system-level viewpoint that will enable graduates to devise policies to meet the clinical needs of specific patient populations. The training supports holistic care that will enable nurses to develop and implement patient care plans based on an individual’s needs rather than using a one size fits all approach to care. The personalized plan of care will incorporate the patients’ social, mental, and physical needs including their medical history and culture. This approach to care will improve patient satisfaction and outcomes. As organizational leaders, DNP graduates can use their expertise to manage health care delivery in such a way as to aid the progression of nursing. They can contribute and implement innovative solutions to challenges that impact health care outcomes for patients and populations. Through the educating and mentorship of new nurses, they can also effect change from the ground up. DNP nurses are better prepared to lead changes as they specialty education prepares them to collaborate with physicians, nurse executives, and other professionals to offer solutions to the numerous complexities that plague the health care system. Enrollment in DNP programs is on the rise. This spike in enrollment does not eliminate the fact that only a small percentage of the entire workforce will pursue the degree, which makes the degree a rewarding experience for those who do. According to the United States Bureau of Labor Statistics, the availability of jobs for DNPs will increase by 31 percent in the next decade, and graduates can expect to earn upwards of $115,800 per year based on their chosen specialty. DNP nurses can establish their position by producing scholarly projects to make valuable contributions to the advancement of nursing. A large segment of DNP programs will admit only master’s prepared nurses. However, there’s a growing number of DNP schools in North Carolina that accept BSN graduates and prepare them for the DNP degree. A core emphasis of the program is the development of competencies that will improve patient outcomes through the study of clinical leadership, health care policy, advanced nursing practice, population health, information systems, scientific underpinnings and other essentials. Nurses enroll in the program to advance their careers, prepare for a specialty role in care, and improve the health care industry. At the conclusion of their plan of study, they can practice at the highest level of care to transform health care delivery in the complex medical environment. Applicants must typically have a master’s degree in clinical nursing, but a bachelor’s degree may also be acceptable for BSN to DNP programs. MSN prepared nurses may need to have at least 500 hours of clinical requirements from the MSN program. The specific requirements vary by the intended concentration and school so check your program of interest for detailed requirements. BSN to DNP programs are usually full-time. Students will complete the required 66 to 75 credit hours in approximately three years – depends on the chosen specialty. In addition to the theory, the curriculum will require completion of 1000 practice hours to prepare for advanced practice, practice-based inquiry and leadership, and the DNP scholarly project. The MSN to DNP prepares students to lead out in the improvement of patient safety, quality of care, and evidence-based practice. Students must complete at least 42 credit hours of post-master’s study and 1000 clinical practice hours (500 hours may be transferred from the MSN program). Evidence of completing 500 hours of supervised clinical practice in the MSN program. In the University of North Carolina system, tuition for three years of full-time study will cost approximately $65,400 for in-state students. The cost does not include expenses for books, materials, and other supplies.